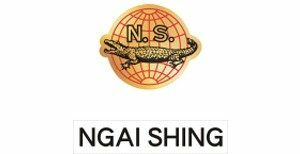 Ngai Shing Development Limited is a company specialized in garment machinery manufacturing with distribution networks and service partners cover more than 40 countries over the world. The headquarters is in Hong Kong and manufacturing plant is located in Shenzhen China with a production plant of 40,000 square meters and employees of over 600. Ngaishing devote themselves to the research and production of garment machines and concentrate on the development of garment industry. Our products are simply classified into: Cutting Room Equipment, Fusing Equipment, Shirt Assisting Equipment, Shirt Auto-sewing Equipment & Stackers, General Pressing & Ironing Equipment, Man & Lady Shirt Pressing Equipment, Trousers Ironing and Assisting Equipment, Jeans/Jacket Outlook Finishing Equipment, Industrial Laundry Equipment, Seam Fusing Equipment, Chemical Dipping & Curing Oven Equipment, Shirt Anti-wrinkle Pressing Equipment, Coat Ironing Room Equipment, Rain Coat Ironing Equipment, etc. All the above count up to over 500 items and cover nearly all facets of garment manufacturing.